As we are becoming more aware as individuals of the environmental concerns surrounding our lives, we must also address the sustainability issue of today as companies and not the sole responsibility of individuals. Nearly a third of the world’s energy consumption and 36% of carbon dioxide (CO2) emissions are attributable to manufacturing industries according to the IEA (International Energy Agency). As such, we must take responsibility for our part in the manufacturing process. In combination with this, the architectural design of a building also plays a significant part upon the environment. Through sustainable design, such as increasing the insulation properties of the building will in turn reduce the energy required to heat the space. There are many design features such as this which contribute to improving the energy efficiency of existing buildings. This is also reflected in the government’s ambition with the introduction of ‘Building a Greener Future’ and the newly revised Part L of Building Regulations which is setting an improved standard for all new homes to meet the energy efficiency standards. 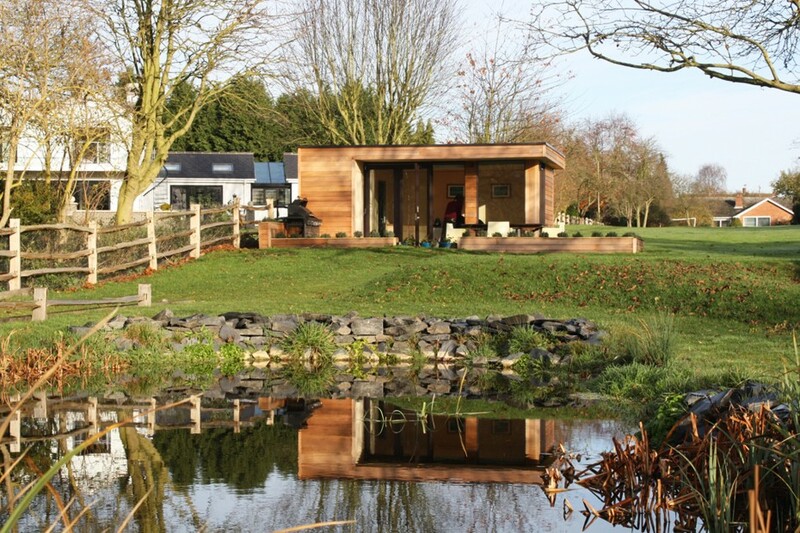 Although our Garden Rooms are generally exempt from Building Regulations providing they are under 30 sqm, we still aim to meet them and in some cases exceed them. For instance, we are probably one of the only studio manufacturing companies that install as standard an air tight membrane on the internal skin of our buildings. It’s not a requirement, but it improves the energy efficiency of the building and provides a comfortable internal space especially in the winter months.